To reprint or email a receipt, click on Print/eMail Receipt in the Banking drop down. 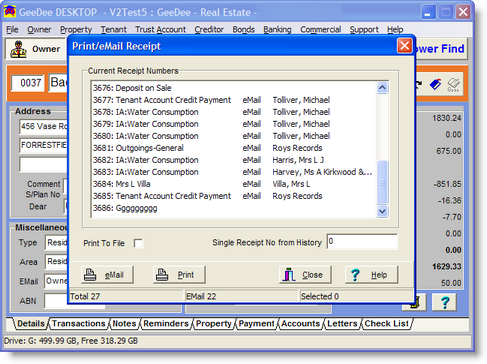 • From the list box, select the receipt number to print. 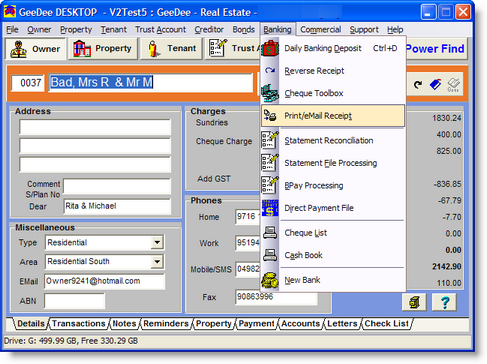 • If the receipt is from a previous period enter the number in the history field. • Click on the Print button or press Enter. The receipt will be printed on the printer with the word Receipt in its name. If no such printer is available, then the default printer will be used.